Every person measuring the pros and cons of DNA testing has different thoughts and expectations for the process. Choosing the right DNA ancestry testing company may now seem like a difficult task, but once you have enough useful information, you’ll be able to shape your personal needs and decide on a test that perfectly fits your expectations. Let us go over the crucial factors that can make or break your DNA testing experience. This section depends entirely on your personal needs and expectations. For instance, some ancestry DNA testing companies will offer only autosomal DNA tests, which means they’ll explore only 22 pairs of your chromosomes, excluding the so-called gender chromosomes (X and Y). If you only want to learn more about your ethnicity without any specific lineage information, you should opt for this type of testing. Some companies like Family Tree DNA offer separate mitochondrial and Y-chromosome tests, which will allow you to explore your direct maternal and paternal lineages. Family Tree also offers convenient bundles with its main autosomal test, so you can create a perfect order to fit your personal needs. AncestryDNA test, on the other hand, offers autosomal and gender testing all in one, so you don’t have the option of ordering just paternal or maternal ancestry testing. As we said, the right choice in this matter depends solely on what you expect to get for the money invested. 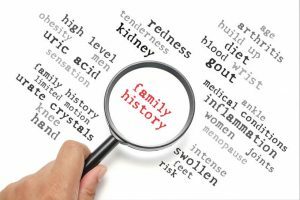 DNA ancestry testing companies provide their users with a wide variety of features offered through their final reports. This includes different visual maps that’ll tell you more about your genetic ethnic percentages and indicate the migration patterns of your ancestors throughout the ages. There are also numerous chromosome browsers that’ll allow you to compare your DNA signature to those of your relatives, one chromosome at a time. You can also build your own family tree and connect to potential genetic relatives in the company database. 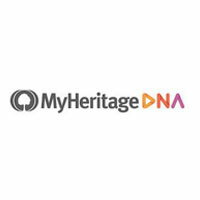 Some companies like Ancestry.com and MyHeritage also allow you to import pictures and genealogical records pertaining to your ancestors and living relatives in order to put faces on different DNA signatures in your family tree. In this section of our mini-guide, we’ll go over some of the most important numbers you should keep in mind when looking for an ancestry DNA testing company. Region coverage – Your ethnic and genealogical maps will spread over world regions covered by your chosen company. The more surface it investigates, the more detailed the picture of your genetic impact and geographical relevance. Just to put some things into perspective, Living DNA covers 80 regions, 23andMe covers 150, and AncestryDNA 350. Genetic markers checked – This is the number of places within your genome the ancestry DNA test will check for matches. Understandably, the higher the number, the higher the accuracy of your results. Gene populations explored – This entails the number of ethnic groups against which your DNA strain will be compared in search for possible matches. A higher numbers of genetic groups will give you a clearer and more precise picture of percentages present in your ethnic ancestry. Turnaround time – Receiving quick service is paramount, so the time you’ll spend waiting for the test results is also important. The general time frame for ancestry tests is 6-8 weeks, but it can also take 10-12 weeks in some cases, like with Living DNA’s ancestry test. In-house DNA database – The company’s database dictates how many potential DNA matches you’ll be able to find, so it’s always better to go with a provider that’s in the business longer, as it has had ample time to gather a significant pool of customers. However, a modest database doesn’t immediately spell a poor company, especially considering that many companies allow customers to transfer their data to other companies. The problem is, the highest numbers are not all within one company. For example, Living DNA has the highest number of reference populations, but AncestryDNA checks the highest number of genetic markers. This conundrum is made easier and more comprehensive by our compare DNA ancestry tests page. The list of features offered by different ancestry DNA testing companies is pretty much endless and the perfect choice for you depends on how deep you want to go with your ancestry exploration or how much you want to learn about yourself. For more information on DNA ancestry testing, check out our list of the best DNA ancestry testing companies on the market.